I found a new website, Whole Foods Market, which has some good old fashioned cooking with updated ideas. The recipes, I looked at were hearty and appealing and since I had a butternut squash on hand, I gravitated to this warm and yummy soup. This list caught my eye and already, I was planning ahead what to make from it. I bet you can see some dishes, you also would like to make. Grilled Vegetable Sandwiches with White Bean Pesto This is an example of why I love my immersion blender. I find that I use it almost daily and for almost every soup. Add carrot, celery and onion. Cook until vegetables have begun to soften and onion turns translucent, 3 to 4 minutes. Stir in butternut squash, thyme, broth, and pepper. Bring to a boil, reduce heat and simmer until squash is fork-tender, about 30 minutes. Use an immersion blender to purée soup. 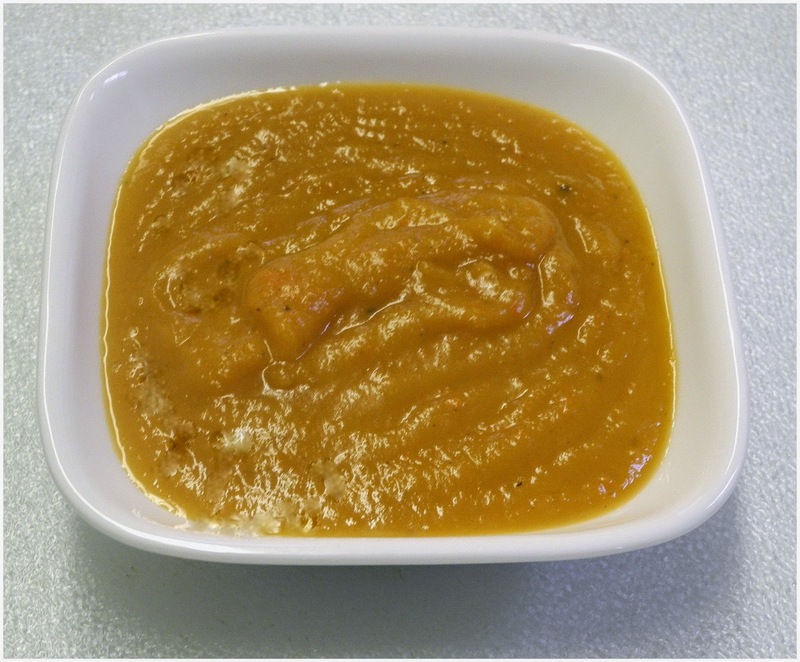 We just love Butternut Squash Soup and your recipe looks awesome! Hope you are staying warm and cozy in this cold weather and thanks so much for sharing with Full Plate Thursday.